The first four years of a child’s life are the most crucial in cognitive and physical development, yet for children with disabilities, these early years are a difficult time. A frustrating lack of mobility resources exist for this age range, which is why certain pediatric experts are using clever ways to create their own resources. Go Baby Go, a program based in the University of Delaware, is helping people across the nation create modified, motorized toy cars for children with disabilities. 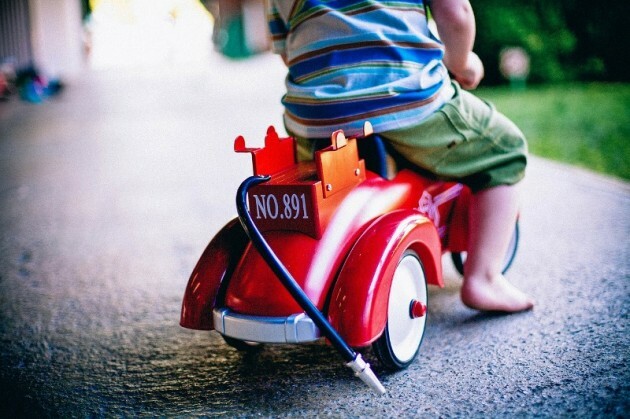 Remember that old Fisher-Price Power Wheels you used to love? It’s now being used to promote physical and developmental therapy for children with disabilities. The initiative began with Go Baby Go, founded in 2011 by Cole Galloway and Sunil Agrawal of the University of Delaware. They realized that with $200 and some minor technical modifications, off-the-shelf toy cars could help boost development for children with disabilities. The modified toy cars get outfitted with buckles, PVC pipes, foam water noodles, and a child-size body board for back support. Now, babies and toddlers who don’t have the ability to crawl or walk due to a physical disability have the chance to experience mobility and explore their surroundings. The most important addition is a push button which both starts and cuts off the power when pushed. This will not only keep the child safe when using the vehicle in enclosed areas but also motivate the young driver to exercise certain movements. For instance, putting the button behind the head helps a child practice holding his/her head up, which can make a big difference for those with spinal cord disorders who need self-motivated therapy. Currently, there are about 40 national and international Go Baby Go partnering sites–from clinical teams to nonprofit community programs–which provide modification of toy cars for local families at a far more affordable rate than basic, clunky wheelchairs. Go Baby Go offers professional development conferences that guide participants through the modification process. So far, estimates are that 500 modified vehicles have been made and distributed by Go Baby Go, with another 500 from partnering sites. You can find out more about Go Baby Go and get in touch to benefit children you know by visiting its website. PreviousFree Prize Draw to win a Safety Sleeper!